The Anne Springs Close Greenway in Fort Mill, SC for over 20 years has hosted an annual Christmas Craft fair the Saturday after Thanksgiving. 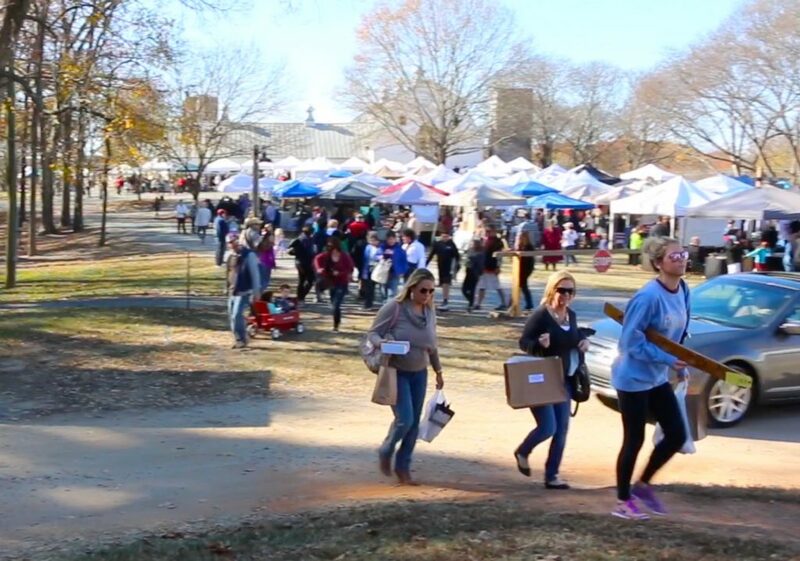 The Winter Wonderland Craft Fair has more than 150 artists and crafters from the Charlotte region offering unique holiday gifts and decorations. An estimated 5,000 people visited this year’s craft fair held on November?26th, 2016 at the Anne Springs Close Greenway Dairy Barn. Talk of the Town covered this year’s event to give you an inside look at the fair. 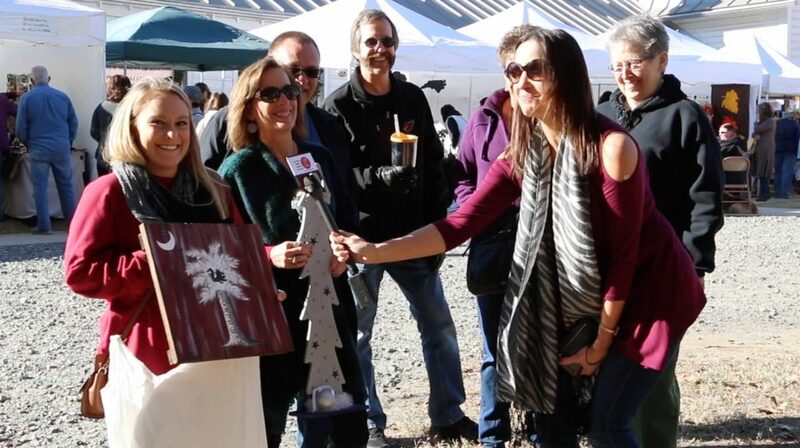 Host Patti Mercer interviewed Anne Springs Close Greenway Director of Development Denise Cubbedge, Craft fair vendors ; I Sew for Sanity Holly McDade, Needed Things Melissa Gibson, Wine Barrel Furniture Bryan Daum, Your Moment of Stardom Terrin Boddi, and many craft shoppers. The craft vendor items are handmade and include pottery, jewelry, quilts, handbags, children?s clothing, woodwork, soap, candles and gourmet foods such infused olive oils. Admission is free and the event will be held rain or shine at the Greenway?s picturesque Dairy Barn. Event admission is free, but you have to pay for parking. Read more about the Anner Springs Close Greenway.